Still have 18 books of the limited edition of 20 to sale. 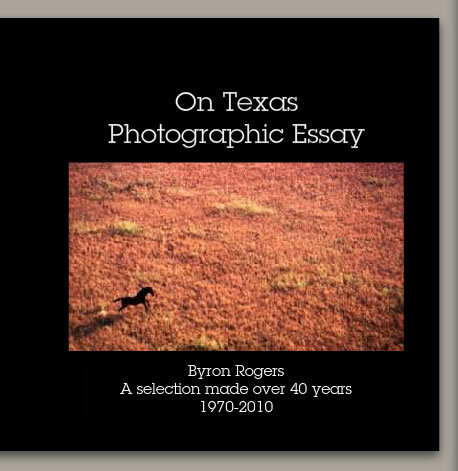 On Texas Photographic Essay – A Selection made over 40 years – 1970-2010. Come see me at the Chicken Farm Art Center on Nov. 28, 29, 30, 2014. I will be in Studio 3 which is Vicki Hardin’s studio. Studio 3 is part of the long building on the left when you walk into the Art Center at 2505 Martin Luther King. We will be open from 10AM to 5PM each day. Located in San Angelo, Texas. The book will be available only in San Angelo first until Dec. 1, 2014. After that date it will be available on On-Texas.com and ByronRogers.com for San Angelo and world. Enter your email address to subscribe to this blog and receive notifications of new posts by email. You can stop all emails from this blog at anytime. Copyright © 1970-2017 Byron Rogers. All rights reserved. All posts, artwork and photographs are copyrighted.